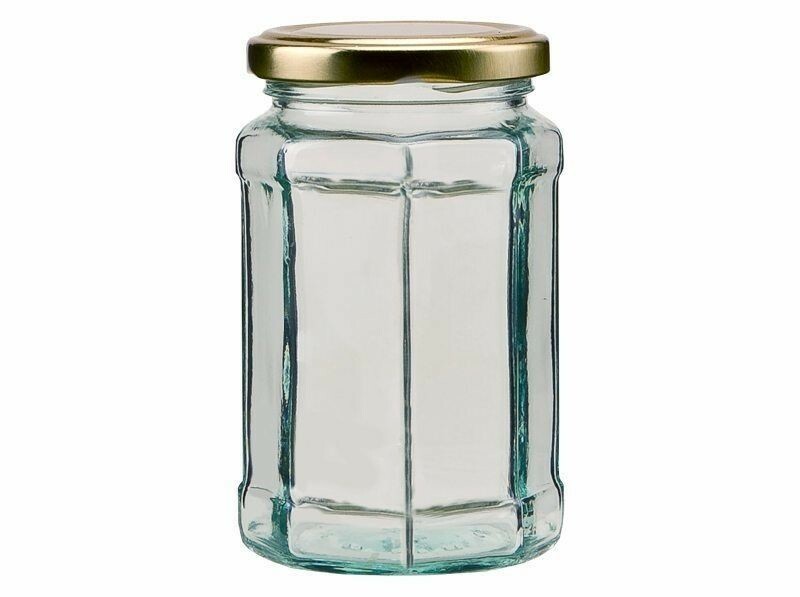 Our 280ml 12oz approx Octagonal glass jam jar is an eight-sided faceted style. These octagonal jars are perfect for jam, chutney, pickles and preserves. With a 63mm neck which gives a choice of a variety of coloured lids which have an integral acid proof seal making them suitable for chutneys and pickles.